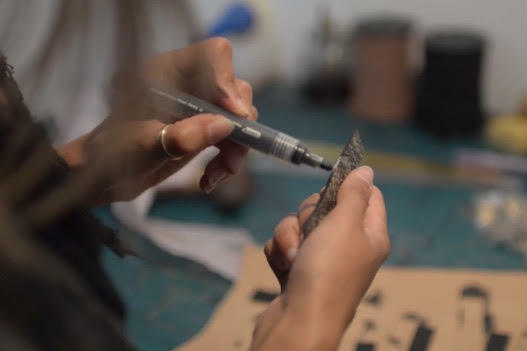 Dominik Salunke has carved out a business that feeds her passion for creativity that’s based around her belief in quality workmanship, skill and experimentation. 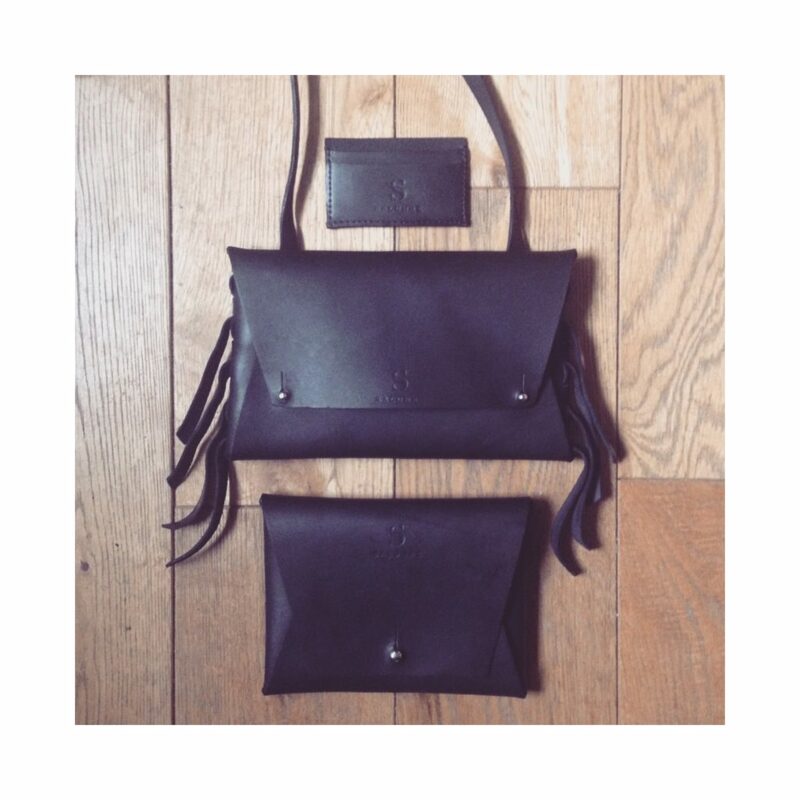 Eschewing the path of outsourcing and mass production, she makes bespoke leather bags and accessories from her home in Mithian, Cornwall. After moving around a lot when she was a child, Dominik’s father, a surgeon from India, eventually relocated their family to Mithian in Cornwall. 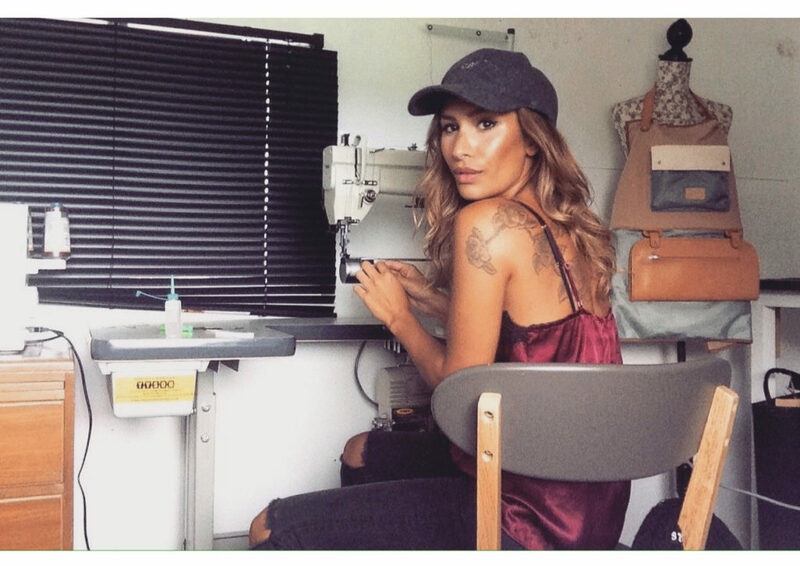 Dominik has been here ever since, on and off, moving away for her degree at the London School of Fashion but returning to start up her own business, Salunke. 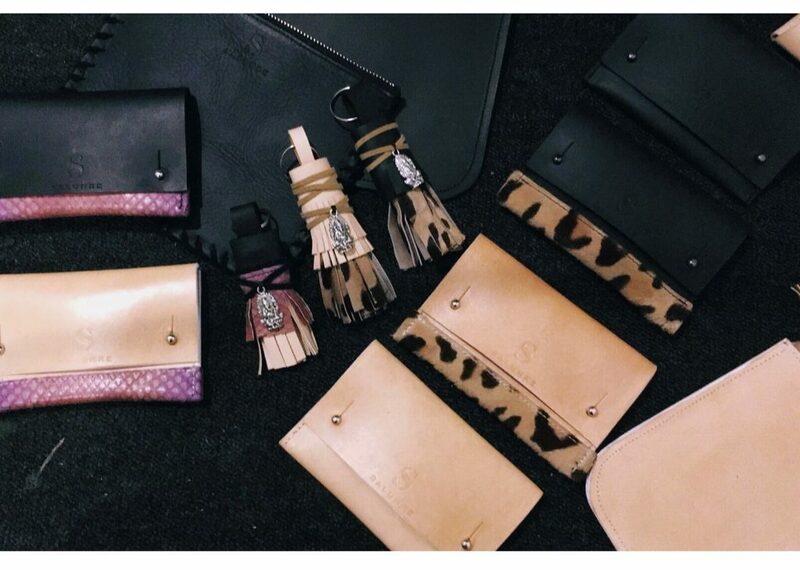 I caught up with her to find out a bit more about how she started her bespoke handbag and leather accessory business, where she’s at right now and her visions for the future. You attended the prestigious London School of Fashion, what was that experience like? I studied a course which has now changed its name to something far less exotic but at the time was a BA in Cordwainers in Accessories… essentially just handbag making. The building itself was originally a dedicated Cordwainers school before being taken over by LCF so it had a lot of charisma and you really did get the best of the best. We had incredible opportunities both within term time with collaborations with Tommy Hilfiger and Bill Amberg, along with fantastic connections for a placement year. 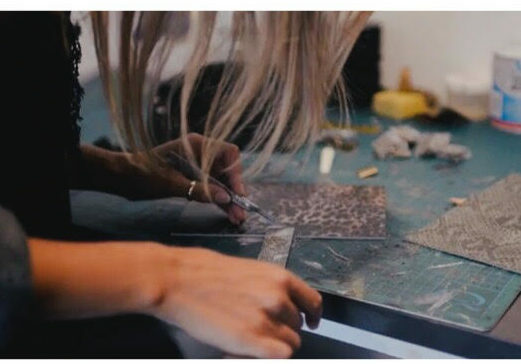 We also had the luxury of having both jewellery and footwear students on the floors below so had constant access to a wealth of machinery that made it possible to create so many other ideas, as you could even look into making your own hardware with the help of the jewellery students. My campus was conveniently located right next to the Barbican and walking distance from a lot of amazing design headquarters, McQueen to name the favourite – so you’d always catch a glimpse of some amazing things going on around the area. I think my experience was quite unlike a lot of people who attend central London universities. I’ve been told that by not having a giant campus like a lot of places that people can suffer, but we seemed to have this little microcosm of close-knit creatives who were always so encouraging, it really was amazing. Where do you work from currently? I work from a workshop just outside my house but it’s starting to get very crowded. Very recent additions to the many large pieces of relevant machinery in there are an untuned piano and a snowboard sans bindings, so it’d be lovely to have somewhere much more spacious and perhaps dedicated purely to leatherwork! I’d also like to upgrade to a building that is sealed so come the winter months I’m not operating a spider hotel. Have you always been interested in accessories and fashion? I think I have. My aunt likes to remind me often of a story of how when I was 2 years old and she took me shopping in Nottingham I apparently cried until I was bought a polka dot matching two-piece whilst also managing, between sobs, to sing Consider Yourself from Oliver. I’m not sure what this really means but I can only really add that nothing much has changed although now rather than cry until I obtain said articles, I can just try to make them… although tears are probably still present throughout that process too! 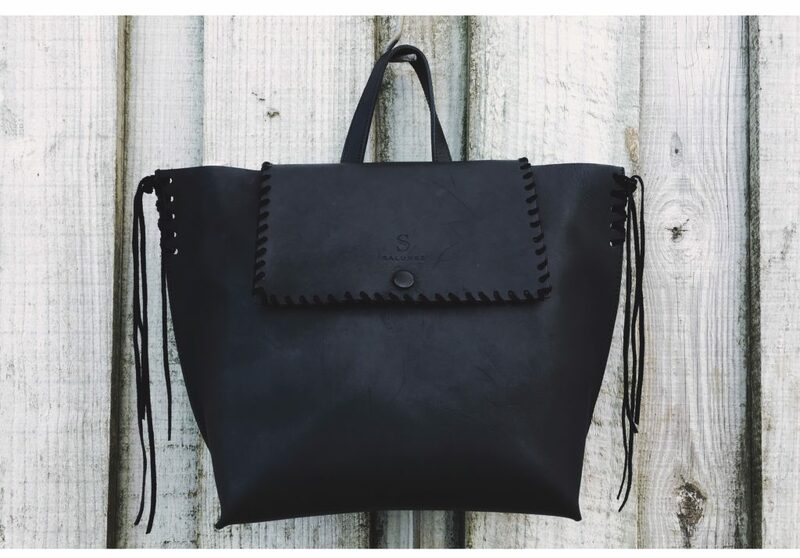 When did you start to first make bags and accessories? I remember on my foundation year before attending university I was always geared towards product design and I had always been quite creative but hadn’t really found a way to channel it until I started the course. 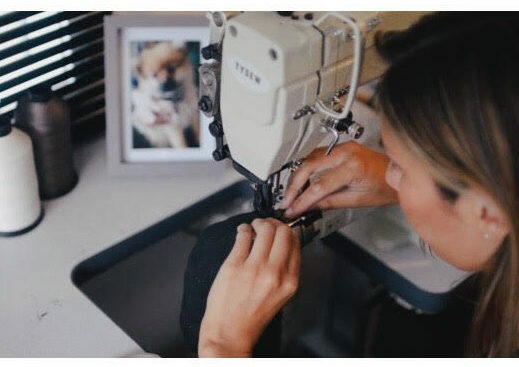 I’ll let you in on a little secret – I had never even threaded a sewing machine up before that September! After university I took a year off before even attempting to make anything else – the cost to get my workshop up took an extra intake of night shifts and I don’t know about anyone else but after my final major project I wanted to create a healthy amount of space between myself and the thing that made me cry on a regular basis! I just had lost the love for it a bit after having to create everything to an educational formula. It wasn’t until I just relaxed a bit and realised my design lecturer wasn’t a part of my life anymore and I genuinely could play around in the workshop without having to reach any kind of resolution that the fun of it started flooding back. I think being in education and learning a creative subject is a conflicting feeling; you’re forced to produce things even when you actually just want to binge watch Gossip Girl in bed so it took quite a lot of time to unlearn these regimented habits and to just make when you just felt like making and not think you were failing when you just wanted a month off to get drunk and catch up with friends. 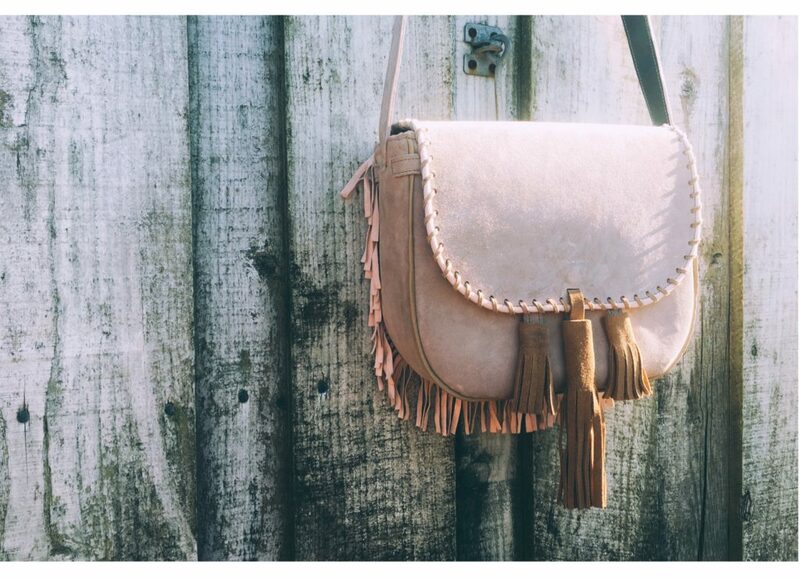 What gave you the idea to start creating bespoke leather bags? I struggled quite a lot at university and it felt like constant goal chasing and if anything it started off maybe as something that just indulged my own ego – to push myself further and further every time and also getting to experiment with new processes. Making a bag from start to finish takes a surprisingly long amount of time; you’ve got a good few days of designing and creating your pattern which can still change after the mock-up stage and then tens of hours of fawning over the details in the making process – there’s something so incredibly rewarding about pushing yourself each time to make something slightly more complex than the last. 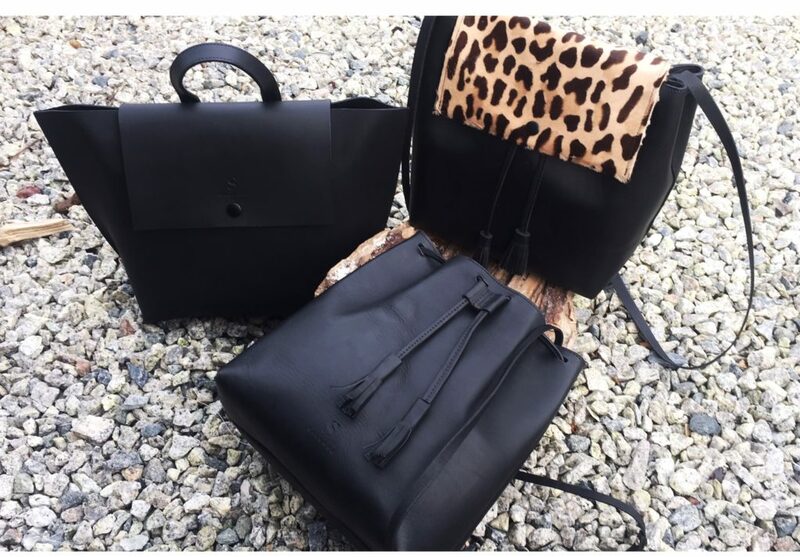 After experimenting a lot with what I was about after university I came to the satisfactory conclusion that I offer bespoke luxury handbags that are custom made to order. I did try to branch out beforehand to produce more marketable stock items at a lower price but I felt this didn’t really satisfy the making part of my brain and I felt almost apologetic about what I was selling as I didn’t feel like it showcased everything that I could do. I didn’t get to challenge myself as the pieces were fairly easy to make…god it’s all ego really isn’t it in some sad quest to prove my skill level, it’s quite laughable! 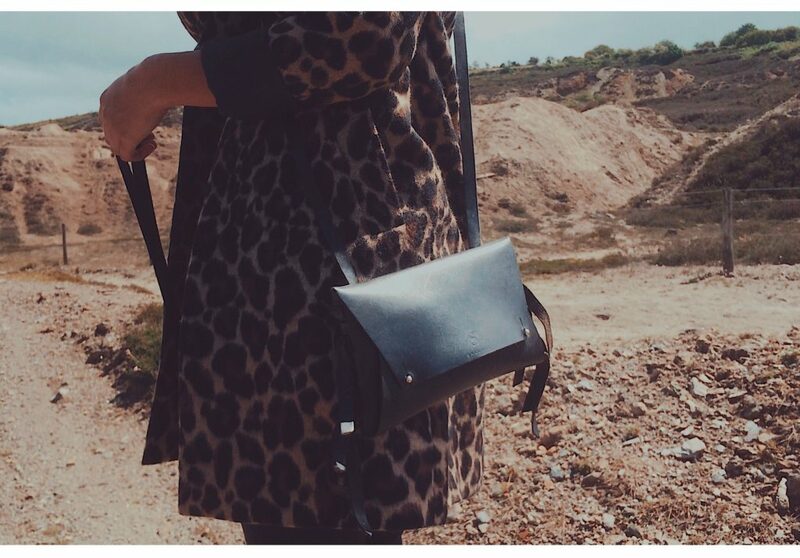 Nowadays I much prefer working closely with someone to create their bag and spending a good 3-4 weeks perfecting it. It’s not the most cost-effective work financially but it’s definitely proven to be the most rewarding and you end up with something that, hopefully, the client absolutely adores and definitely can’t get anywhere else! 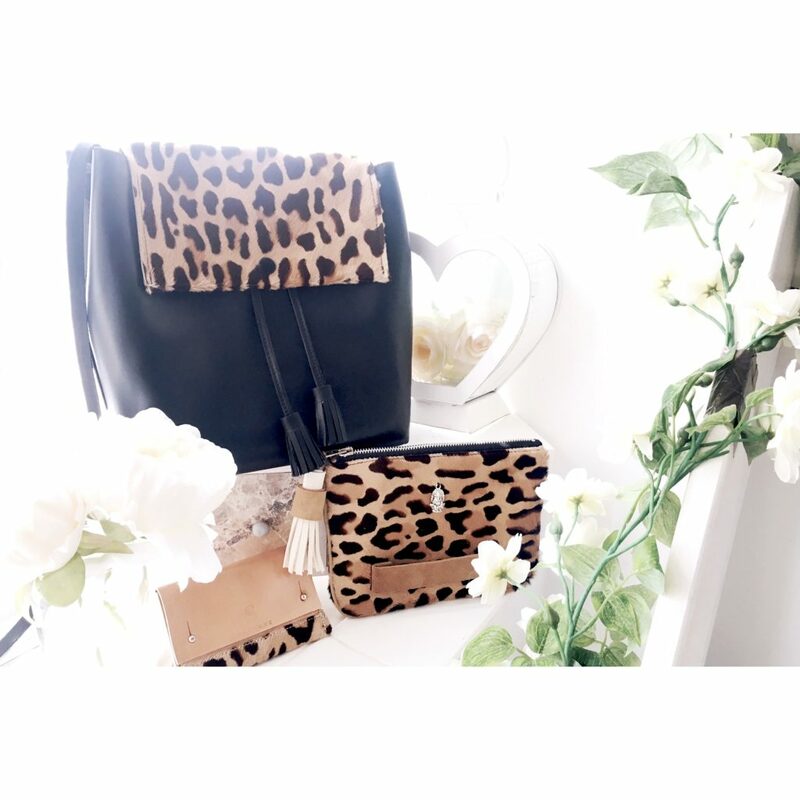 I’ve found that through doing this I’ve attracted really like-minded clients as well and people have finally started coming to me because they like my style and not because they think I can reproduce a Celine for them at the fraction of the price! Honestly, it becomes a kind of cathartic therapy. There are the obvious things where you get to create something that you adore but I think it’s the introvert in me that loves to go off to my workshop, put on a podcast and just really focus for a good 10 hours of the day! It’s a really engaging process and you’re constantly problem-solving and using your brain which I have to admit I don’t feel like I utilise nearly as much as I should anymore! Naturally being able to fulfil a client’s requirements does provide a huge reward but it really is quite a selfish thing I’m doing here – most of it is to satisfy my own needs! I constantly feel very lucky as well to have something that I can escape to. When I speak to my friends from my course who went on to be designers, it’s amazing how many of them haven’t made a single bag since and spend the vast majority of time in front of a computer, not even sure where to go to make because they don’t have access to space to set up a workshop. It always incredibly humbling to stop and look at what I actually have and to know that I’m making something physical that I get to leave in this world. 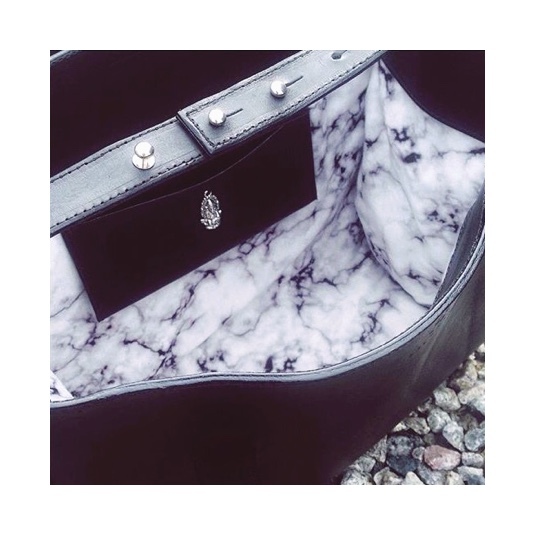 Were you ever tempted to design your bags and outsource their production abroad? I definitely was tempted by this but I have just never really had the funds to inject into mass production to the standard I would want them. That being said, this year I have obtained a contact in India, a family connection, who has been sponsored by the government to create a tannery and production line so once that is built which should be by the end of this year I want to go out and see if it’s possible to create a small run which, if viable, I will definitely pursue! I like the idea of it being something that has a connection to my heritage as well and love the idea that they could be produced over there. 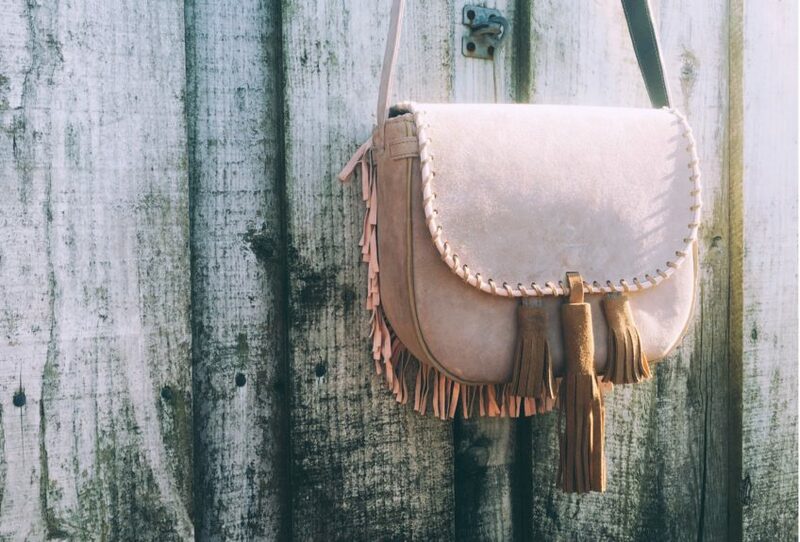 Do you remember the first bag you made? Who was it for and what was it like? I kind of have two firsts – there’s the first bag I made at university where everything I had been struggling with seemed to just click into place and the idea of creating a pattern just didn’t seem as mind-boggling. It was a beautiful leather suitcase that I worked so hard on and seeing it come together was a real breakthrough for me in the way I started designing. It was the beginning of me starting to push myself a lot further and start to stray away from menswear. The second.. first… was the first bag I sold which was to my friend Tegen. 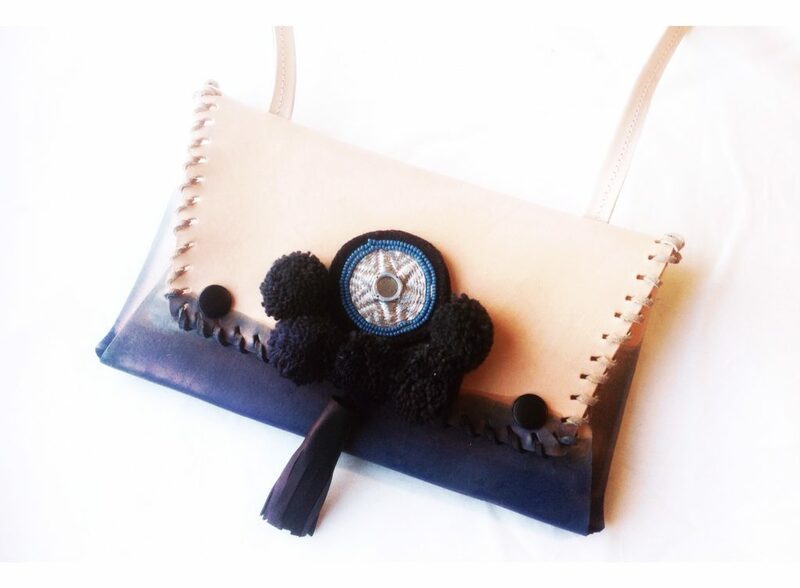 I had finished my final major project early at university and was spending the final week playing with materials and the stock room while we still could which resulted in a green tasselled crossbody bag with weaving and fringing details. It was quite a rough mock-up really, no lining and some very questionable edges but it struck me there and then how much fun it could be just to go and allow yourself to just make something for the fun of it. After spending around 6 weeks developing each product for your final year it was quite a release to know that you could sometimes just spent 6 days.. or in this case hours! What’s it like working with leather compared to other materials? I’d say it’s a lot more challenging to work with leather because you have to take into account the thickness of the material and how much it might stretch over time with wear. A lot of luxury bags require a splitting machine (which I don’t have – sob sob!) that splits the leather to various thicknesses so that you can cover handles easily, sew on a turned seam, use as detailing etc. 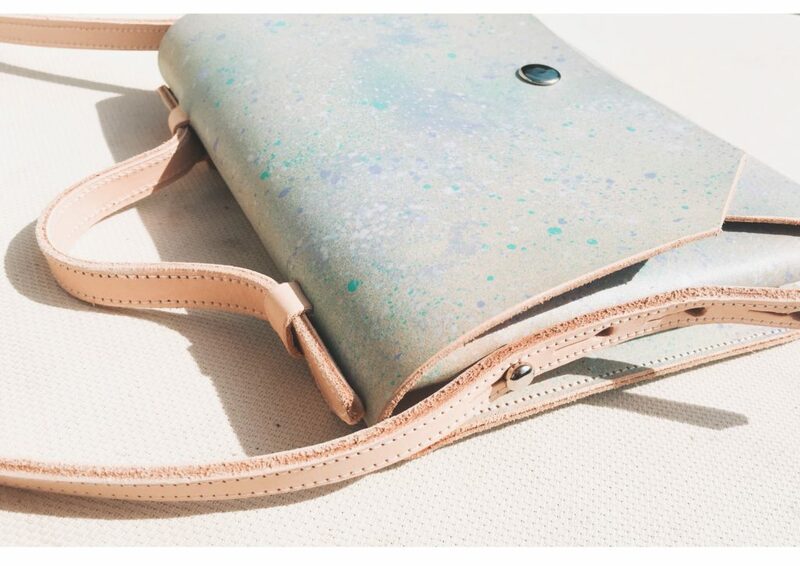 It opens up a lot of doors when it comes to what you can produce and without it you do have some really strict limitations which I don’t think you’d get if you weren’t using leather. Leather also requires a lot of care into the finesse of the product. You can’t just cut your pieces and be ready to go, there are huge edge finishing processes to go through as well which can take days! In general, it is just a much lengthier and hugely accurate process – being 1mm out can affect the way a bag can sit which can be a terrible but gruelling lesson to learn! I quite like this though, I find it quite honourable to the actual animal that you have to treat leather with time and care to create something beautiful. It’s just really expensive too so you find yourself being a lot more mindful of how you cut your pieces and what you can do with the offcuts. How has your signature style and what you create evolved over the years? I think I started out quite obsessed with menswear and mens accessories and used to create things that were very heavily influenced by Portland leather trends and there is quite a natural minimalist and rustic approach to design with unfinished raw edges and designs made up primarily from clever folding. This definitely has evolved as I’ve become better at making into a more detailed luxury aesthetic primarily for women. I’ve enjoyed being able to create things to a higher finish which I think definitely does play a role in where my style is growing to and hopefully as I get better at making it’ll just keep reflecting in the designs I create..but most probably I won’t stray too far from a neutral palette and a marble lining! I definitely reached an age where I was very comfortable with what I wanted and knew that in order to build up any kind of client base I would have to have true conviction in what I produce so it helps that everything I make I secretly want to keep afterwards. What or who would you say your influences are in your work? I definitely look to other designers for inspiration, it’s hard not to gravitate towards and take notes from certain fixtures and fittings or construction methods that you’ve seen and like. Mansur Gavriel for shapes are just incredible, they manage to make luxury minimalism but not at a ginormous price point. I’ve got to admit that lot of things I tend to make seem to just be experiments for things that I haven’t seen that I’m wanting to buy myself. Living down in Cornwall and having that incredible work-life balance has helped a lot. I still have to work a full-time job so having that amazing break to just go for a dog walk when you’ve hit a brick wall can completely get the creative juices flowing! Wendy Nicholl is a complete genius in my head as well, her style and aesthetic is just a complete reflection of who she is as a person and I love the way she can make classic constructions come to life with whipstitching and tassel detailing. 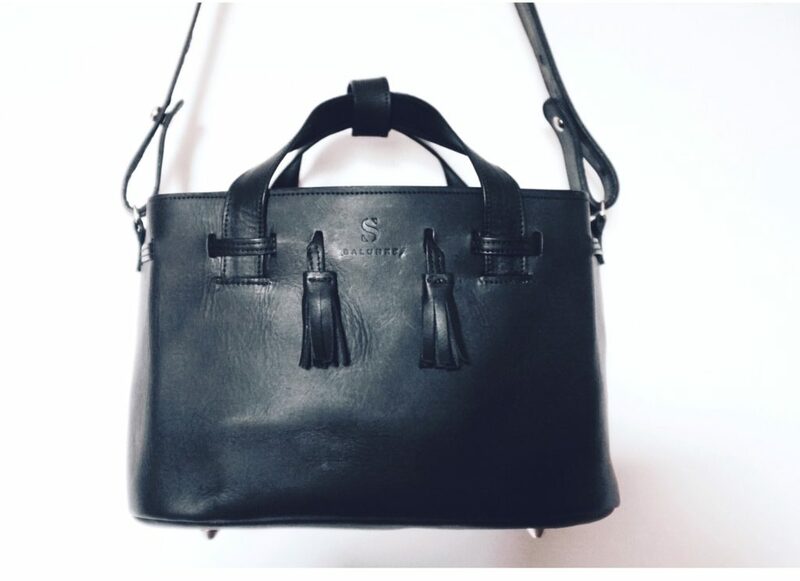 The high street offers the most incredible craftsmanship with All Saints bags – I find it really interesting as well to monitor what goes into the sale and what sells out as even though I can gravitate towards a particular style it’s interesting to see what the masses want. I think as cliched as it is, being back at home has a huge influence on what I do. I think it’s really important to look at what your peers are doing and nod towards trends but I think being out of that you essentially remove the constant infiltration of other peoples designs and you just begin to create things that genuinely come from you. I guess that’s how you develop your own style but it’s just amazing what a bit of fresh air, a pack of dogs and Joe Rogan grilling someone on a podcast and a dedicated day in the workshop can do for you. Being in Cornwall is really special as it’s full of people who I just truly believe are ahead of the game, everyone seems to be that little bit cooler and more at ease with themselves; supporting each other rather than competing for the top, a secret knowledge that they don’t really need to prove to anyone else, and it really shows in everyone’s style and willingness to try and consequently support something new so Cornwall and your gorgeous people, I credit you to being the biggest influence of them all!